The book assumes no prior information and starts with showing how to start each application, how to navigate the interface, dress up documents in Word, create spreadsheets in Excel, create a PowerPoint presentation, and use Outlook as an email client. You’ll also find templates for each application for letters, faxes, a budget grid in Excel, and more. 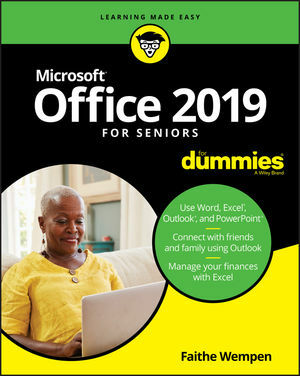 If you’re an over-50 PC user looking for some gentle instruction on making the most of Office 2019, you’ve come to the right place!